The lottery industry is booming and unless you’ve spent your days hibernating in a cave, you’ll more than likely have heard of the Health Lottery. Mobile Bingo Bonuses love the fact that they provide incredible jackpots for their players and contribute 20% of the money to worthwhile charities. The Health Lottery have now joined the world of online gaming, with the launch of Health Bingo. Alike the lottery side, a percentage will be given to registered charities and you have the benefit of enjoying top class games. Whether your preference is casino, bingo or video slots such as Starburst and Pixies of the Forest, you’ll find them all here. For those of you who enjoy playing games on your mobile devices, then Health Bingo is perfect. They offer a number of games for you to play on your mobile, so you can erase any boredom from your life. Page on Facebook for the latest news. You begin your time on Health Bingo with a 200% cash match bonus on the 1st deposit, up to £150. So for adding a mere £10 you’ll receive an additional £20, making a grand total of £30. 50% Bingo Reload – Get a 50% reload up to £100 every day when you deposit, simply by using the code BB50. 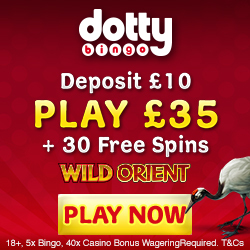 £10 Daily Casino Bonus – If you’re a fan of the reels, then you’ll love this great offer. 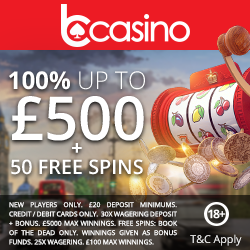 When you deposit a minimum £20 and use the code CB10, you’ll receive £10 casino bonus credit. This code can only be used once per day, but that’ll keep you topped up for a bit. To ensure you keep up on any game launches, changes to promotions or even exlusive promotions; check out the Health Bingo Facebook page. It’s also the perfect place to contact someone should you have any questions, or alternatively you can live chat between 8am and 2am, email or post. Health Bingo accept the usual banking methods including Visa, Mastercard, Visa Debit and Visa Electron. So if you’re ready to claim that 1st deposit bonus and help some worthwhile causes out there, simply head over to the Health Bingo.